In the next 2 weeks, I am going to review a novel and its prequel. I am trying to figure out whether I read forwards or backwards. 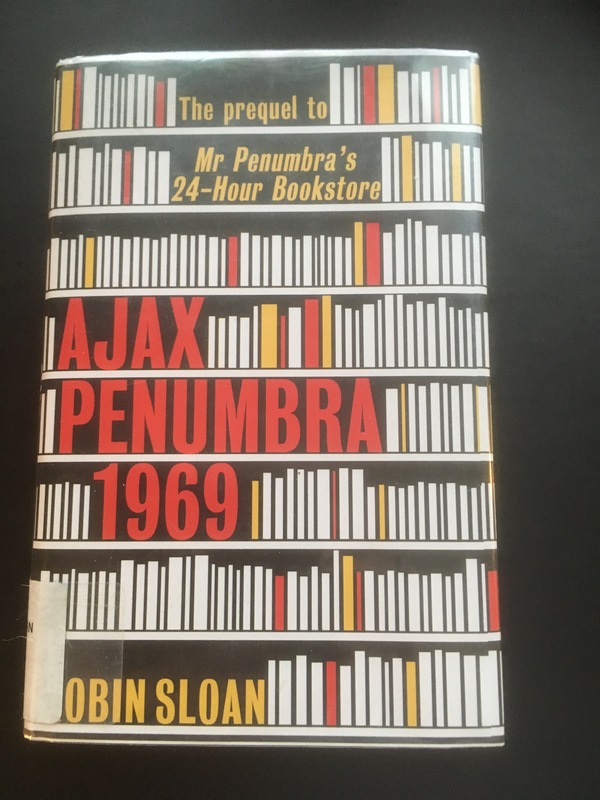 This week, I am reviewing Ajax Penumbra 1969, which I read first. Mr. Penumbra’s 24Hhour Bookstore, which I will review next week, was written first by Robin Sloan, while the book I read first was written two years later in 2014. Are you feeling sufficiently confused? For fear that I will digress even further, let me begin by stating that I did enjoy Ajax Penumbra 1969. Set in San Francisco in Summer 1969, the summer of “If You’re Going to San Francisco” fame, this novelette follows Ajax Penumbra on a search for a book. There is not a bibliophile alive who cannot relate to Penumbra’s search for the one book he is tasked with finding. To find the book, he goes on an archeological investigation through a tunnel being dug for the Bay Area Rapid Transit. He is assisted in his search by an old college friend, a computer pioneer named Claude Novak, and a bookseller named Mohammed Al-Asmari, who owns a 24-hour bookstore. Ajax is seeking the book, the Techne Tycheon, in his capacity as a Junior Acquisitions Officer for Galvanic College, his alma mater in Illinois. While he finds the book, he leaves his job, and heads back to San Francisco ready to start his most famous adventure in Mr. Penumbra’s 24-Hour Bookstore.